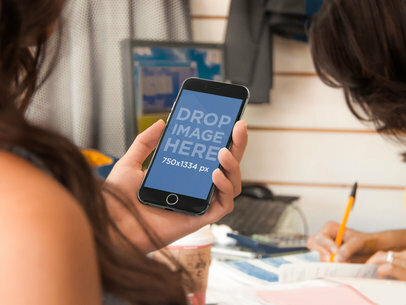 This iPhone 6 mockup shows a young woman holding her black iPhone 6 in portrait position while doing some shopping. 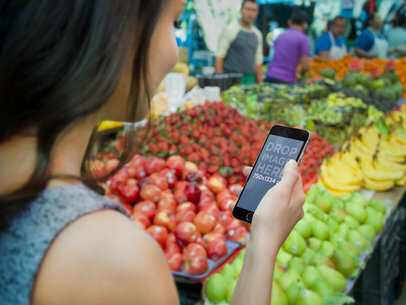 We can all agree that shopping can be an exhausting activity, especially because there are so many things one must remember and keep in mind, luckily, technology is here to save the day. 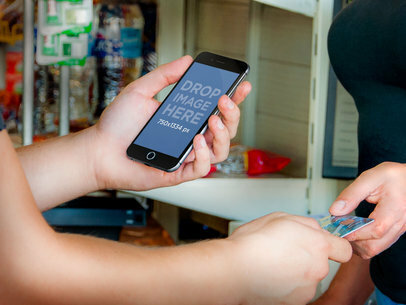 Nowadays there are hundreds, if not thousands, of shopping apps that are designed to help us take advantage of the best deals, make lists and even share information with friends and family. 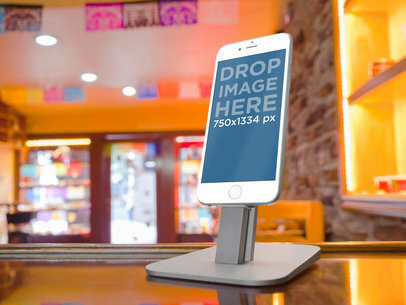 You can use this iPhone 6 mockup to display your new iOS shopping app in a beautiful way that provides context and will improve your app marketing. Besides, the black iPhone 6 looks beautiful in this shot. 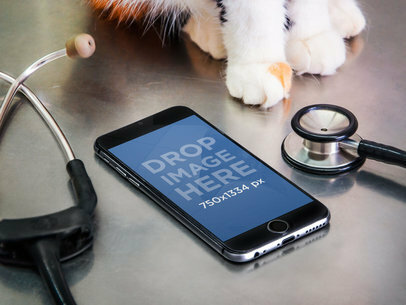 Show off your app with this iPhone 6 mockup being held up by a veterarnarian treating a cat. She is taking care of a cat that is sitting on her examination table. 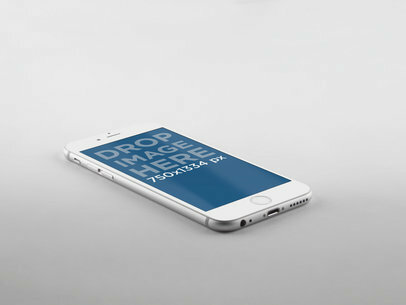 The iPhone 6 mockup is in portrait view. 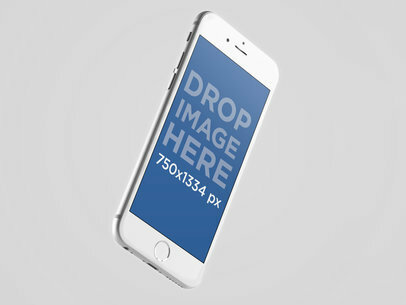 The mockup allows an image of 750x1334px. 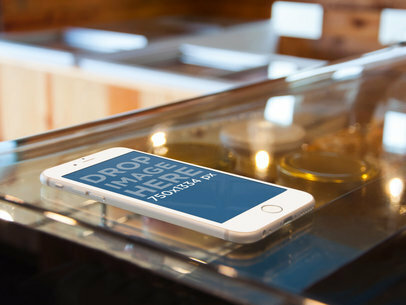 Perfect for an app to assist vet&#8217;s. More Mockup Templates here! 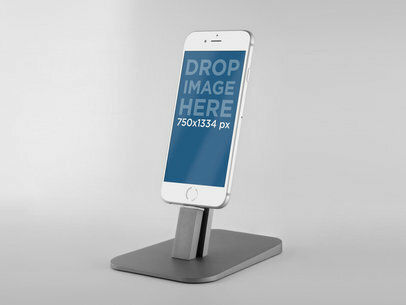 Use this iPhone 6 mockup to show off your new app mockup. 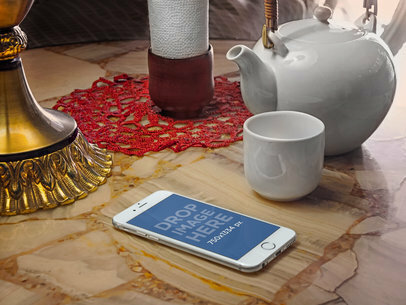 The iPhone 6 rests on a glass dessert counter. 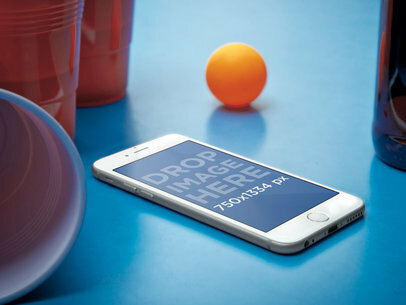 The iPhone 6 rests in portrait mode and holds an image of 750x1334px. Three fourths of the image: a beautiful, natural piece of wood. The rest? Green grass. The main element? 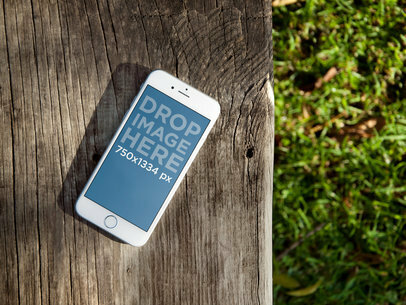 A white iPhone 7 mockup, shining under the bright sun. 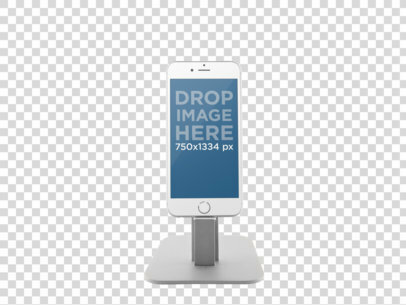 This stunning stage is one of our new iPhone 6 mockups, designed for any app or website that needs to showcase the new iPhone screen size. 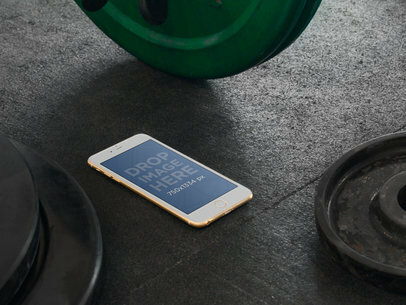 The perfect social setting for the iPhone 6. You can set your mockup in an intellectual setting with these two people playing chess. 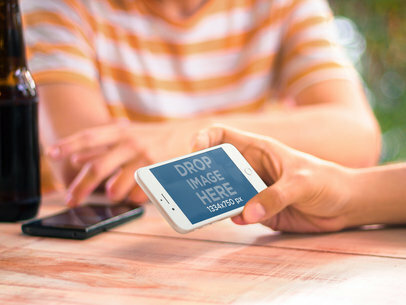 The iPhone 6 is being held up by one of the players in portrait mode. 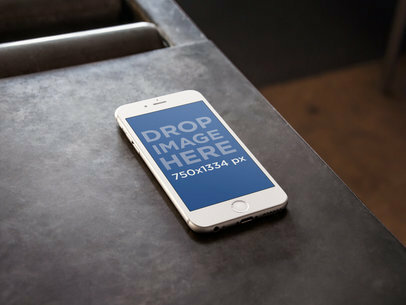 The iPhone 6 will hold up an image of 750x1344px. This is great for a chess playing or social app. 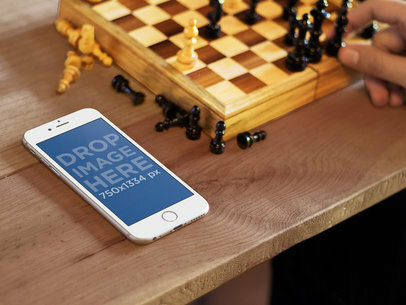 In the middle of a crazy chess game, a player checks his iPhone 6 for help from your app. 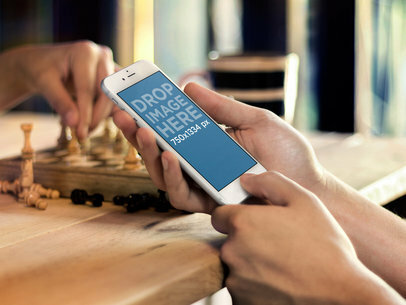 The iPhone 6 lays next to the chess board in portrait view. The plays hand rests on a bishop preparing his next move. 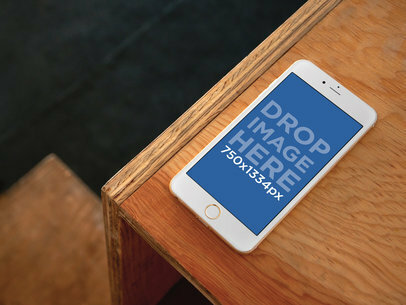 The iPhone 6 mockup will hold an image of 750&#215;1334 px. There is not better place for a casual app.